Vladimir Tarasenko could be made available by St. Louis. Boston Bruins looking at Wayne Simmonds? Kevin Paul Dupont of the Boston Globe: Anyone who is anyone believes Boston is actively looking at Wayne Simmonds. The question asked by those sources is can the Boston Bruins afford the price tag? Simmonds is on the final year of his long-term contract. Cost is believed to involve a first round pick along with a prospect or two. Prospects Boston possesses by a good number. It becomes the idea of trading another top pick away that would scare Don Sweeney. That being said, Wayne Simmonds remains the perfect complement on the second line for David Krejci and Jake DeBrusk. It boils down to price and does that price move between now and February 25th. If it does, then Boston may have a deal. If not, Boston looks elsewhere as there are options in what is a buyers’ market. 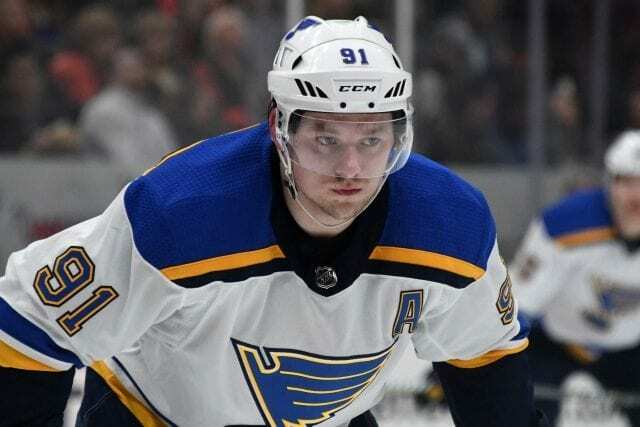 Boston swinging big for Vladimir Tarasenko or Brayden Schenn? Joe Haggerty of NBC Sports Boston: Another option or two exists for Boston in the form of St. Louis should they decide to sell at the trade deadline. St. Louis’s scouting staff was spotted at a recent Boston-Montreal game fueled speculation. Boston’s scouting staff had been meeting in house the past few days. It may not mean much now. The Blues parting with Brayden Schenn would be less of a surprise. Schenn fits a number of needs that Boston has. He plays either center or the wing which is great for versatility. He comes off a 28 goal, 70 point year last season. Then, there is Vladimir Tarasenko, who would be a huge acquisition. Consider that Tarasenko scores at least 33 goals and 66 points every year. That sniper ability puts Boston at another level when it comes to contenders. Cost expects to be a problem even more here. Schenn’s contract runs for one more year while Vladimir Tarasenko’s runs for four. Brayden Schenn figures to fetch at least a first and a prospect maybe two. Tarasenko involves a likely package of picks, prospects, and maybe an NHL ready player. That is for someone to play on the second line.